As many of you probably know, YouTube is the largest video content hosting and sharing platform where billions of users (almost 1/3 of internet users) watch millions of hours of videos a day. But did you know that it is now the video content platform of choice for younger audiences? In fact, a study done by The Intelligence Group found that 74% of 14- to 18-year-olds and 68% of 19- to 24-year-olds regularly visit YouTube to view video content. 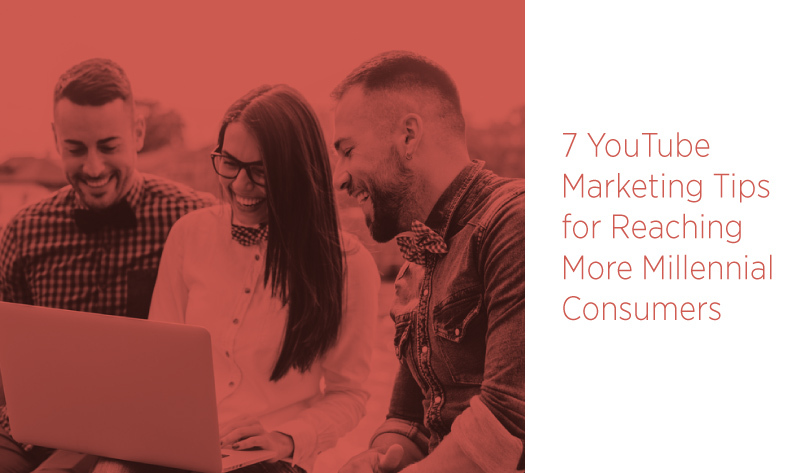 Although this may sound like a no-brainer, you should have in-depth knowledge of your target consumers including their tastes, product preferences, disposable income, spending behavior, sites they visit and the type of content they consume. It is worth noting that millennials are generally more entrepreneurial, with 72% of high-school students saying that they would like to own their own businesses and 76% saying they hope to turn their hobbies into full-time jobs, according to data published by Mashable. You can use this information to develop and deploy marketing campaigns that appeal to the entrepreneurial spirit exhibited by millennials. A great example of this marketing strategy is a video, created by NJIT’s Online Computer Science program, which celebrates the most recent release of Star Wars VII – The Force Awakens by highlighting how sci-fi predicted the future of modern computer science. According to Facebook's 2015 fourth quarter figures, the social networking site attracts about one billion monthly users, has 2.5 million advertisers, has 500 million users on Events, generates 100 million video views daily, and has 50 million small businesses on Pages. Furthermore, about 93% of American teens have a Facebook profile, making the site one of the most popular marketing platforms due to its wide reach. More importantly, you can take advantage of Facebook ad data to reach millennials. For example, you can use Facebook Atlas to buy ads, target a specific consumer demographic, optimize ads, as well as leverage Facebook data to reach consumers on Facebook and non-Facebook marketing platforms. Your business can also reach more millennial consumers by creating and publishing relatable ads and video content. A study done by Hunter Qualitative Research on behalf of Defy Media found that 66% of millennials turn to digital content to relax. This means millennials are more likely to watch entertaining, soothing and relaxing content when they feel stressed or when they want to unwind. It is also worth noting that ephemeral messaging is a popular activity among millennials, meaning you can use this insight to target them with ads and video content whose nature is ephemeral. Your marketing content should have a prominent but not obtrusive call-to-action to entice the target audience to perform/complete a desired action. Fortunately, advances in technology have made it easier to include call-to-action buttons in video content. Some of the key goals you could accomplish with CTAs include directing viewers to your company's site/landing page, urge consumers to join a mailing list, ask consumers to subscribe to a newsletter, take a poll/survey, perform A/B testing and measure performance of marketing campaign. Instructional videos can improve the impact of a marketing campaign targeting millennials significantly. 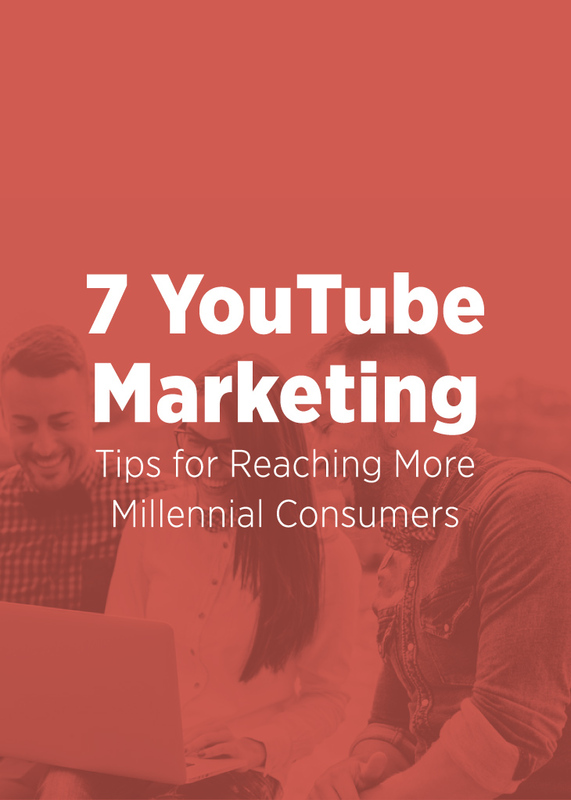 Figures published in the YouTube Insights report show that how-to videos influenced the purchasing decisions made by 62% of millennial smartphone buyers. Furthermore, 9% of millennials interact with YouTube video content that they like. This includes sharing or commenting about videos viewed on YouTube. This behavior is beneficial to marketers because actions such as word of mouth advertising or product recommendations from friends are more powerful and persuasive compared to conventional marketing efforts. Before publishing content on YouTube, remember to add a suitable title and description. Remember, YouTube content also surfaces on Google's search results meaning you should take an SEO-driven approach to improve the visibility of your videos online. The rule of thumb is to create video titles that are less than 70 characters long. Moreover, do not use titles that trick web users to watch video content because such an approach will have a negative impact on content ranking over time. At the same time, use clear, concise language to describe video content in about two sentences. This description should also contain the relevant keywords. Invest in data analytics tools/talent and deploy data-driven strategies to ensure that your ads and video content reach the right audience. This will also enable you to monitor competitors, identify emerging trends, monitor what consumers say about your brand, take steps to address consumer dissatisfaction, optimally price products/services, and launch marketing campaigns that can deliver a positive ROI. Compared to other consumer demographics, millennials are spending more time watching videos hosted on YouTube. To reach them, you should develop marketing campaigns that incorporate in-depth knowledge of the target audience, data analytics, appropriate CTAs, relatable ads and video content, instructional videos, as well as suitable video titles and descriptions.